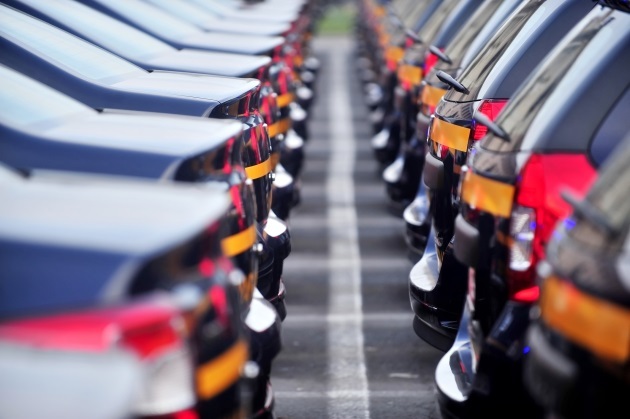 A recent report by Bain & Company reveals that, by 2025, U.S. vehicle demand will drop to 11.5 million — and perhaps even lower if the rate of immigrants entering the country declines. Demand was at 16 million in 2009, and 13.5 million in 2018. What’s causing the decline in demand, and how can U.S. auto manufacturers weather this disruption? According to Rodney P. Parker, Associate Professor of Operations Management in the Kelley School of Business at Indiana University, there’s a consistent opinion that auto sales in the U.S. will shrink. "GM had record sales in 2017 (the numbers for the full year in 2018 are not yet recorded), but this was partly due to impressive sales in China." And Parker says now that China’s tax subsidy for buying cars has disappeared, sales are now sagging, and the outlook for future sales isn’t so rosy. There’s not one specific reason for the slowdown in U.S. car sales. Rather, there’s a perfect storm brewing. "There is an impression that the economy is facing headwinds and substantial uncertainty about future growth in the economy," Parker explains. "When this happens, consumers dial back their purchase of new cars and tend to hold onto their existing vehicles longer, maintaining them." We saw this in the last recession, and Parker says it took a couple of years for sales of new cars to ramp up again. You may recall that Chrysler filed for bankruptcy in April 2009, and GM filed for bankruptcy in June 2009. While Ford didn’t file for bankruptcy, it reported record losses. Fast-forward a decade: Ford reported a 2018 fourth-quarter net loss of $116 million after making a net profit of $2.5 billion in the fourth quarter of 2017. Also, millennials tend to be a contributing factor in everything, and the automotive industry is no exception. "Millennials are less likely to purchase cars, particularly if they’re based in urban environments," Parker says. "They are much more likely to rely on ride-sharing apps or subscription vehicles on an as-needed basis, while using public transportation as their staple." Parker believes a third reason is the large number of vehicles coming off leases. "This is boosting the supply of used vehicles, which compete against the sales of new vehicles." And he says there are quite a few SUVs and crossovers among these leased vehicles. "In 2008, the market was split evenly between passenger cars (51 percent) and SUVs/trucks/crossovers (49 percent); by 2018 the market share for passenger cars was 35 percent with the remainder for SUVs/trucks/crossovers." Consumer preference has shifted to larger vehicles, and he says the used vehicle market is in a good position to compete with the new vehicle market. GM reported record fourth-quarter sales for five of its crossover vehicles, but also plans to decrease production of the Chevrolet Impala, Buick LaCrosse, and Cadillac’s CTS and ATS. Ford plans to stop producing several cars, including the Fusion, Taurus, and Fiesta, and will invest most of its capital in SUVs and trucks for the next few years. "Yet another reason is the imposition of tariffs on steel imports, which has increased the input prices for automakers," Parker says. "This is only recent and may not persist — it’s likely to be a smaller factor." For example, the tariffs and Britain’s uncertain future contributed to Ford’s weaker-than-anticipated fourth-quarter profit, and the company warned that tariffs could shave $700 million off of its earnings in 2019. The Bain report also lists two other factors contributing to the decline in U.S. sales: an aging population and the rise of electric and autonomous vehicles. These factors could leave U.S. automakers with stranded assets in the billions of dollars. Fortunately, U.S. automakers have already started to invest heavily in autonomous vehicles. "GM purchased Cruise Automation in 2016 to jumpstart their AV development; Waymo (Google’s sister division) has been developing AVs for years and testing in Phoenix more recently using Chrysler minivans; other automakers have been investing in AVs, too," Parker explains. "The hope of Waymo and GM is to launch their own ride-sharing services using autonomous vehicles," he says. "The economic argument for AV-based ride-sharing services is compelling — aside from the many lives saved and injuries prevented, 95 percent of road fatalities are caused by human error — with estimates that Waymo could charge $0.70 per mile or lower over time (in contrast, taxis charge $2.50 per mile, Uber/Lyft charge $1.70 per mile approximately)." Also, Parker says GM is already offering a peer-to-peer service called Maven, which allows car owners to rent out their vehicles by the hour or day. "This effectively reduces their car ownership cost while eliminating the need for car ownership at all for the others." But how does this help GM? "GM takes a portion of the rental fee to cover administration, vetting of renters, insurance, et cetera," Parker says. In addition, he notes that multiple automakers are offering subscription services where customers can pay to use vehicles for short periods of time. "Unlike a lease (where customers do not own the vehicles), the term of usage can be very short, the term is not fixed, and insurance is typically covered by the automaker." Also, unlike a service like Maven, Parker says the cars are actually owned by the automakers. "In short, the car companies are moving from the business of exclusively ‘selling vehicles’ to a business where they are also ‘selling miles,’" Parker says. While it’s now happening on a small scale, he predicts this model will grow in the future as car companies start to seriously compete with ride-sharing and subscription services.